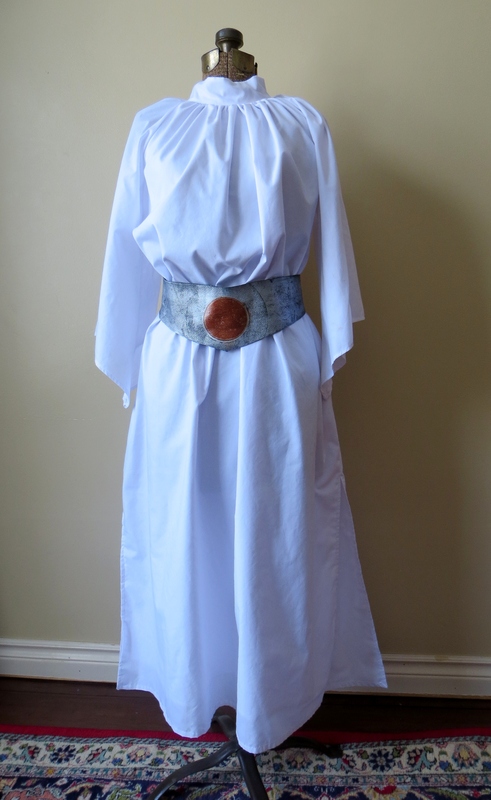 My DD2 wanted to dress as Princess Leia this past October (yes, it’s taken me this long to blog about this) and since Carnivale is just around the corner, I thought I’d share my version of this famous outfit. My starting point was Burda 1/2013 #148, but I made a lot of changes. 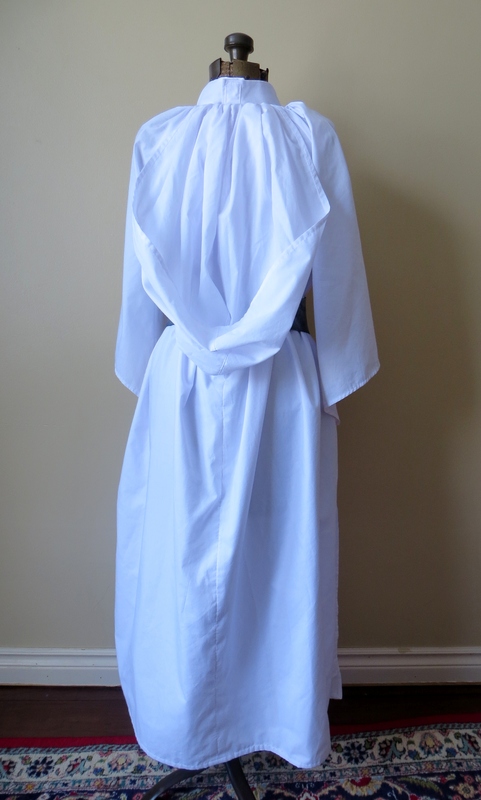 My fabric choice wasn’t jersey, like the original Leia costume, but white polycotton broadcloth because it was cheap. Obviously it doesn’t have the drape of the jersey, and it’s a bit transparent, so I doubled it for the body of the dress. First, I added width and length to fit DD2 with enough extra ease to fit over her clothes. 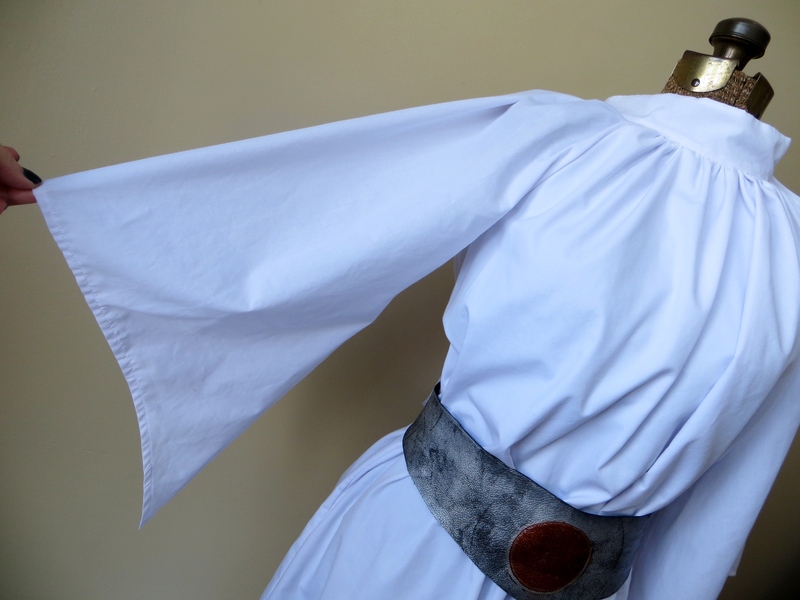 I actually think I used Burda 4/2011 #135, a traced pattern from this tunic for the front and back because it would be faster than grading up the Leia costume, and added enough length to achieve a slight blousing effect over the belt. 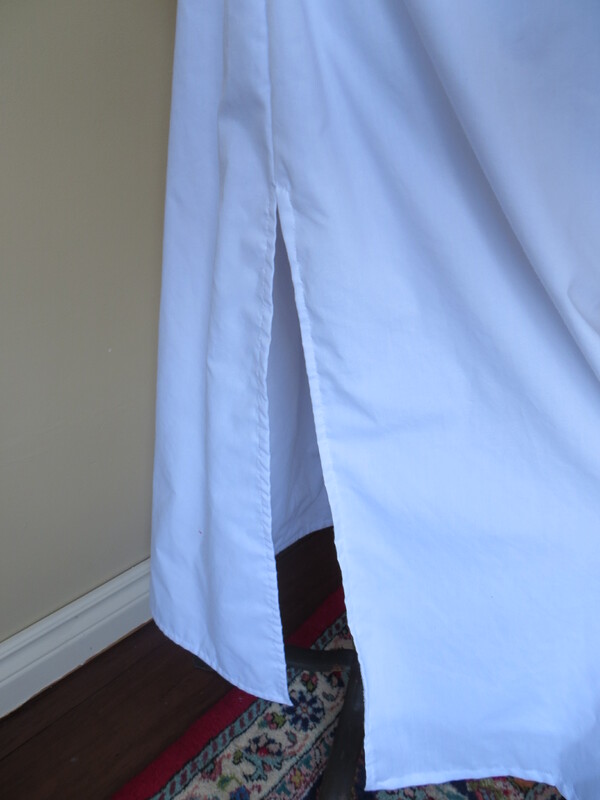 I left a hemline slit at the side seams from the knees down to facilitate easy walking. I used the sleeve pattern from Burda’s Leia pattern. It’s a nice shape. 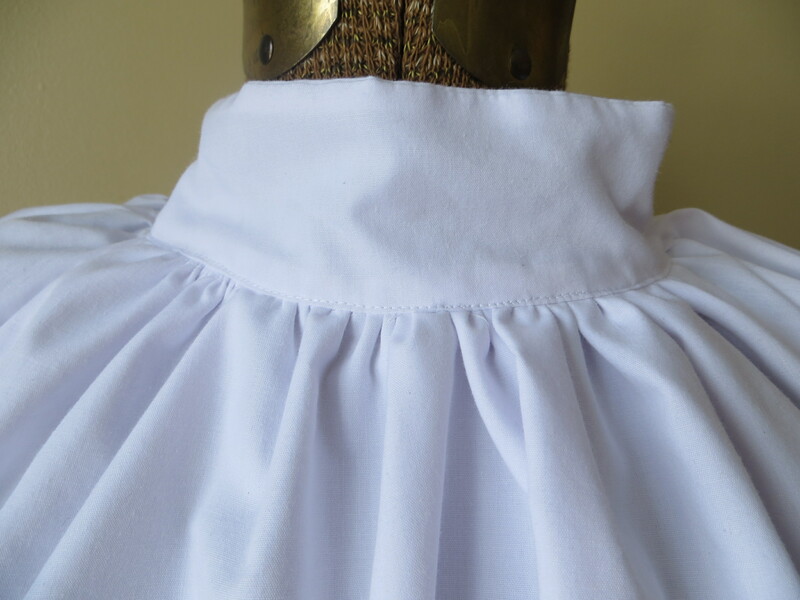 And for the collar I traced off the collar pattern from Vogue 8846 but only attached it from the back sleeve seam of one sleeve across the front of the dress to the back seam of the other sleeve. 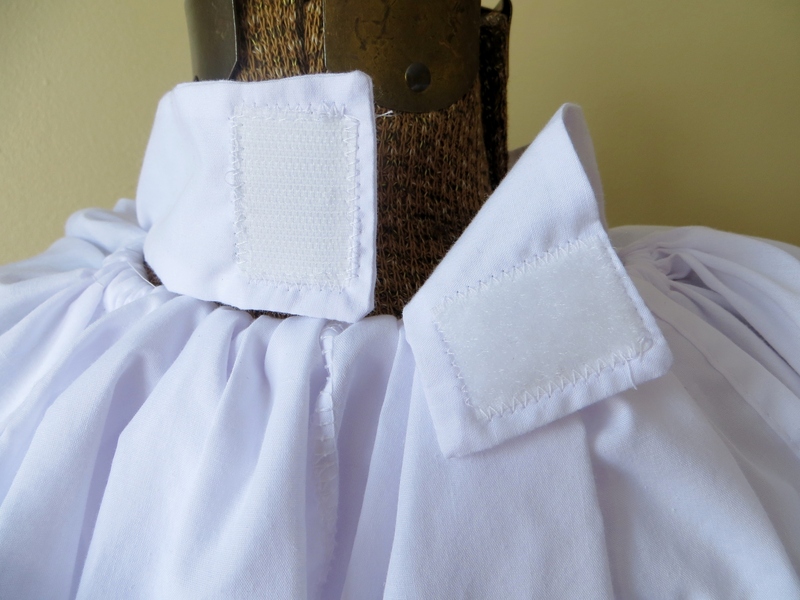 The back of the collar was left unattached at the back with a velcro closing. 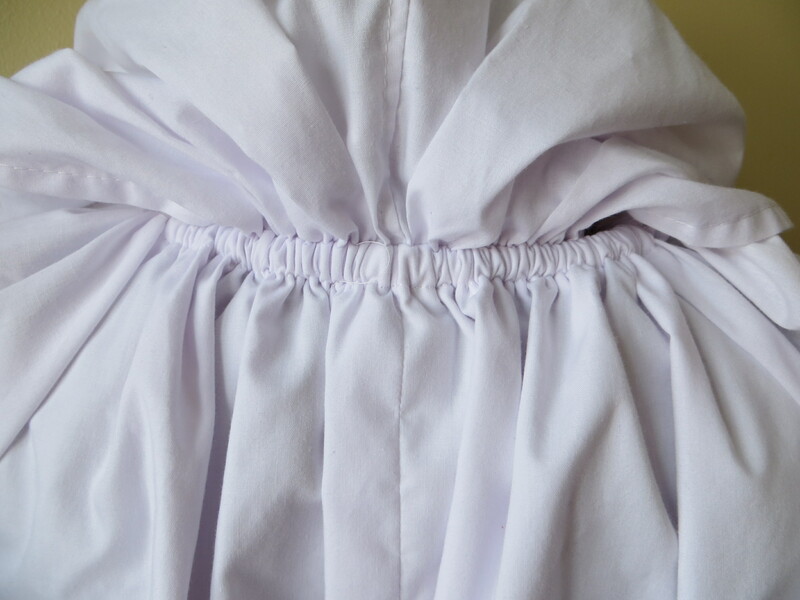 I cut an over-sized hood, using Vogue 7110, and attached it to the back between the sleeves, turned down the seam allowances to make a casing and ran elastic through it all to facilitate easy dressing. This is the centre back of the dress with the hood up. The belt was a new adventure into leather land, having never sewn or cut leather in my life. My husband had brought home a large upholstery-quality piece of black cowhide from a business colleague of his, and I thought it would be perfect…. 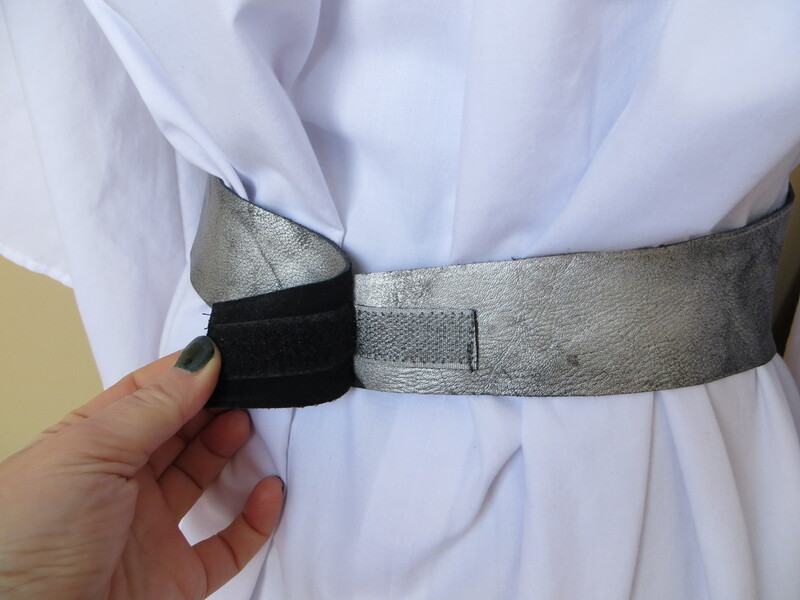 So I used the Burda Leia pattern, spray painted it silver and added a little centre spot of copper paint. Not very accurate from a costume point of view, but it did the job. It fastens with velcro in the back. My favourite part is the hood. BTW, frankenpatterning is great fun for someone draft-challenged (or draft lazy) like me. Just pull all the pieces you’d like from 100 different patterns and see them work. This is very cool and I do love the belt. My two will one day find out about Star Wars and then I will remember this post so thank you for all the deets. It looks brilliant – thanks for posting all the details! haha It’s still present tense in this household! Really a great garment. The force must be with you! Sorry, I had to say it. Indeed, it must have been because I had VERY short notice! All your modifications are spot on and the result could´t be better! Your daughter must be delighted! Great result…nothing wrong with Frankenpatterning….it works and saves time and paper and in the end it is a costume ready for a party!